Avinash’s fascination with gastronomy led him to the Institute of Hotel Management Pusa, New Delhi. After completing his course there he gained valuable experience working in the kitchens of some of the top luxury hotels in New Delhi. He honed his professional abilities in these kitchens and broadened his palate working in banqueting where he learned a variety of cuisines. 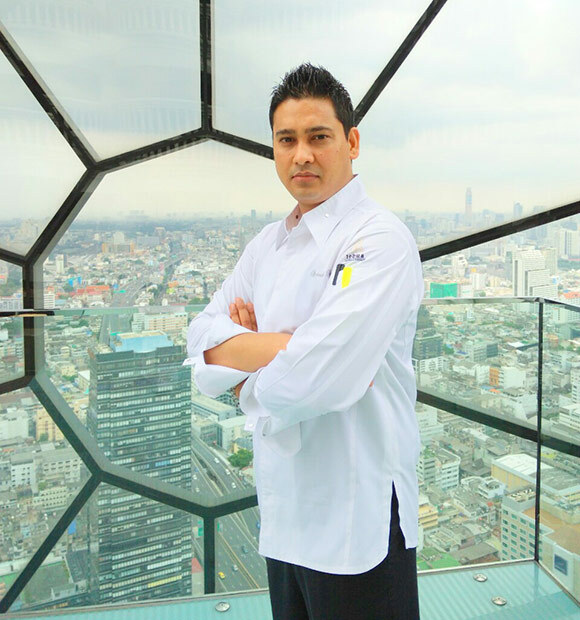 Avinash joined lebua Bangkok in 2010 as a part of the talented team at Café Mozu, where a wide array of Western, Thai, Indian and Lebanese dishes are served every day in addition to the award-winning breakfast buffet prepared every morning. Now as Chef de Cuisine, Avinash’s mission is to celebrate Indian cuisine using the right techniques and ingredients without compromising on authenticity of flavors as well as developing the menu and delighting the guests.